TaxDebtLeads.net is owned and operated by experienced tax professionals and lead generation experts. Throughout the years we have developed methods to generate effective tax relief leads through various tactics. We generate leads in-house and have also partnered with other lead generation experts that also use proven techniques to generate cost effective leads. We are not like your typically lead company. We focus on developing lasting business relationships with both buyers and sellers. We know that if our leads are profitable, our customers will stay with us. We are always keeping focus on quality and improving the overall experience for our buyers. 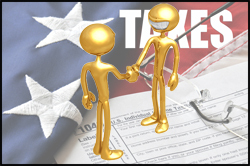 Why Choose TaxDebtLeads.net for Purchasing Tax Relief Leads? All of our leads that are generated are individuals seeking professional help for problems that they have with taxes. Below are some common problems individuals are looking to solve. Talk with one of our lead specialists today to see if you or our company would be a good fit for our leads. See some samples of leads that we, or our partners, generate through approved online marketing methods.